There are valid reasons to choose a vegan diet: health concerns about meat, lowering one’s environmental impact, ethical qualms about meat-eating. So it’s sort of baffling that a U.K. vegan advocacy group, Viva!, created an ad linking hormones in cow’s milk with cancer—a debated claim that, because it couldn’t be substantiated, was banned by the U.K.’s Advertising Standards Authority. The Telegraph reports the agency found the poster “breached rules regarding misleading advertising and substantiation” and ordered the anti-milk ad scrapped. Viva! presented the agency with dozens of papers about the hormones fed to dairy cows, including estrogen; the group’s president told The Telegraph “there’s plenty of scientific data linking milk and other dairy products to an increased risk of some cancers.” But the Advertising Standards Authority wasn’t buying it, saying that the studies didn’t prove a link between milk and cancer, and that customers would be confused by the ad. 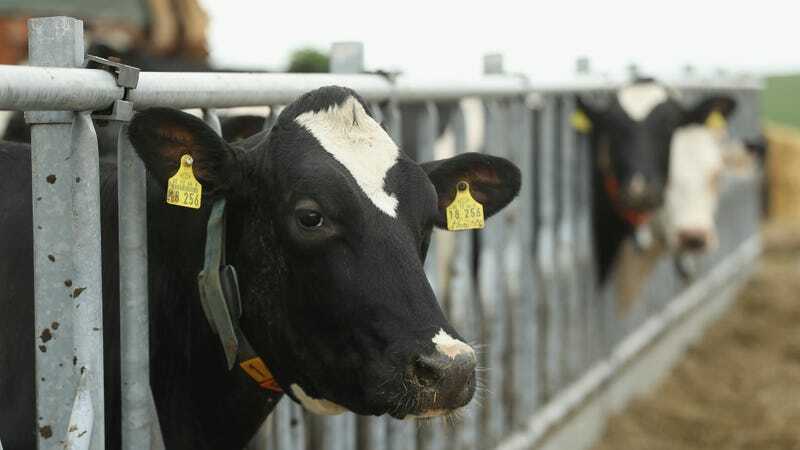 “The studies did not support Viva’s assertion that the findings of increased risk of cancer were specifically a result of the hormones present in cow’s milk rather than to other factors,” an ASA spokesman told The Telegraph. While it may seem like a setback for Viva!, the ad’s removal may serve as a call for vegan groups to focus on the proven benefits of a vegan diet, rather than trying to scare consumers with unproven science. Should you taste grapes at the grocery store before buying? Do I really need to devein shrimp?